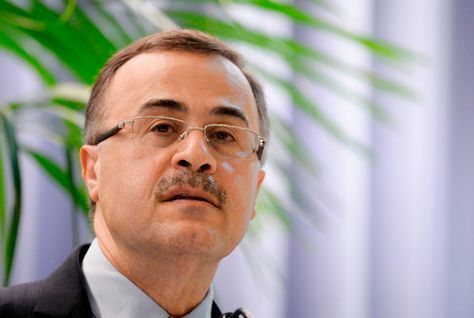 Saudi Arabia’s state oil giant Saudi Aramco is poised to sign about $50 billion of deals with US companies, it’s CEO told reporters on Saturday. The deals include 16 memoranda of understanding (MoUs) with 11 large oil companies and an unspecified further number of joint ventueres, Amin Nasser said. The companies include Jacob’s, Schlumberger, Emerson, Honeywell, Haliburton and McDermott International Inc, among others. These companies are “trying to expand their footprint in the kingdom by expanding trade between the two sides,” he said. The deals are expected to create thousands of jobs, many of them for Saudi nationals. Nasser was speaking ahead of the Saudi-US CEO Forum in Riyadh as the kingdom prepared for the arrival of US President Donald Trump. The world’s biggest crude oil exporter also plans to sign accords also with Baker Hughes Inc., KBR Inc., Jacobs Engineering Group Inc., Nabors Industries Ltd., Weatherford International Plc and Rowan Companies Plc, two people familiar with the matter said this week.